Lieutenants: Greville, Guy G.F.F. - Meredith, John V. - Murray, Terance Desmond, - Mackenzie, Ronald A.H. - Cavendish, Frederick George - Otway, Herbert Francis - Pemberton, Alan John Macdonald - Bailey, Gerald Deighton - Palin, Alyn C.S. - Battersby, Terence Esmond Maxwell. 16 October 1914 from Bombay (India) for Portsmouth (UK) landing 16 November 1914.
moved to Morne Hill, Winchester to join 82nd Brigade, 27th Division. 26 November 1915 embarked Marseilles, France to Salonika (Turkey) on 11 December 1915. 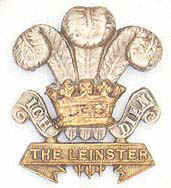 2 November 1916 moved to 29 Brigade, 10th Division. 14 September 1917 embarked from Salonika for Alexandria (Egypt) arriving 18 September. The battalion is reduced to cadre strength with orders to return to the UK. All temporary officers immediately returned pending demobilisation. Regular officers and other ranks returned as duties permitted. Volunteers who wished to continue in service overseas were formed into the Foreign Service Detail, commanded by Major A G G Sharp and attached to the 3rd Battalion in Victoria Barracks Portsmouth.